To celebrate Tta Cory’s 77th birthday, the iamninoy runners did a quick run around Bonifacio High Street, wearing their iamninoy shirts and holding yellow balloons. It was a simple gesture of thanks for all the wonderful things Tita Cory, mother of Philippine democracy, did for her countrymen. The assembly time was 530pm. Runners will run around BHS from 6-8pm. However, I missed the start of the run as I arrived late. Hubby was sick so I had to go alone. I was worried that I wouldn’t know anyone (except for Jamike Lopa who sent the invite). 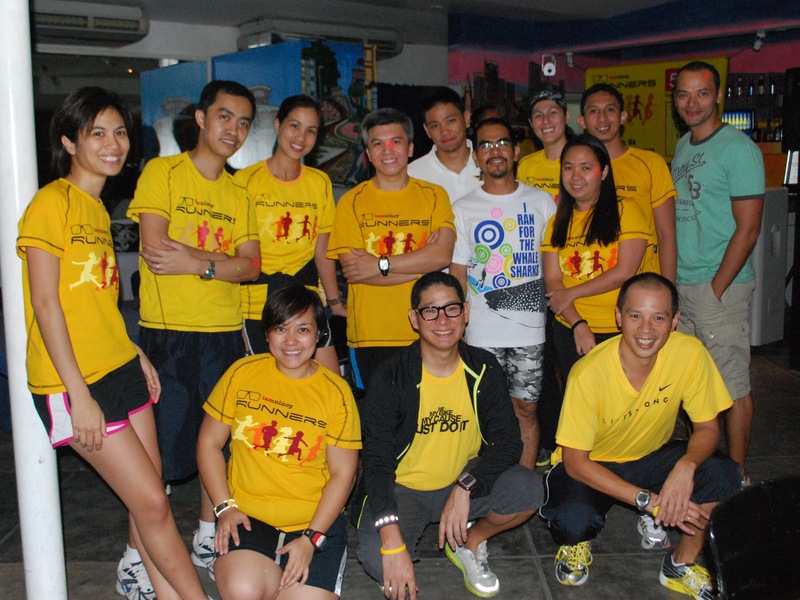 Most of my co-iamninoy runner friends were still at work. I was wrong. Pio Sugay, Ka Totoy were there. It dawned on me that I have more than 100 friends in my running circle that I would certainly see a familiar face. Pio and I paired up. I guess he has been running a good 2km before I arrived. We decided to rest after 3.5km of race pace run. Oh how I thought it will be a relaxing run 🙂 After running, I said a short prayer asking God to bless Tita Cory. We all proceeded to 180 degrees bar and resto near S&R after our run. We had the entire place to ourselves. There was a huge disco ball by the entrance. I haven’t seen one of those in ages. It again dawned on me that I rarely or more of don’t go out clubbing anymore. It can mean two things, I am getting old (tanders, my hubby and I would call it) or I am your classic health freak (no drinking, no smoking, no late nights). I guess I am a bit of both. Phiten had a huge sale that night. Everything was 50% off! Since we just walked to the resto, I only had P500 in my phone case, just enough for dinner. Darn! I was tempted to go to the car and get my wallet. Just when I was deciding on doing that, they started the raffle. They had 7 Phiten bracelet to give away. I think God was telling me to give shopping a rest as I was the winner of the 7th draw. Nice! It was past 10pm when most said their goodbyes. 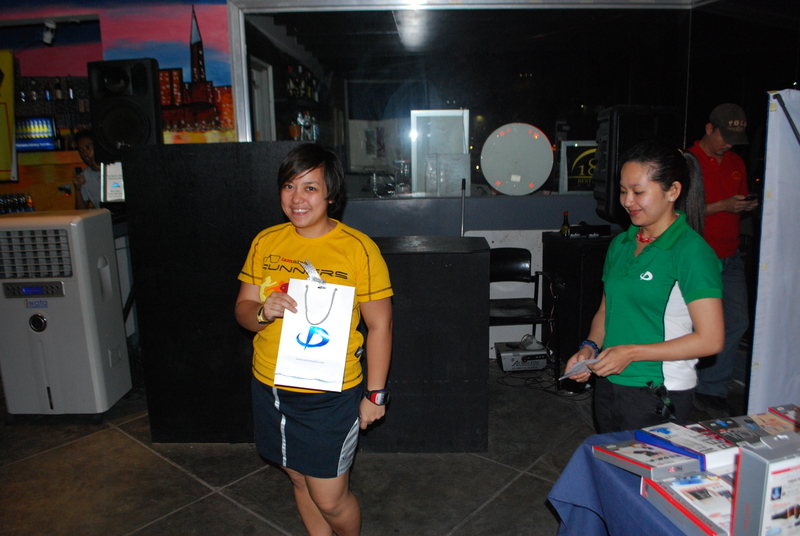 I had fun meeting new runners, chatting with TBR and taking crazy photos with Pio and Jed. 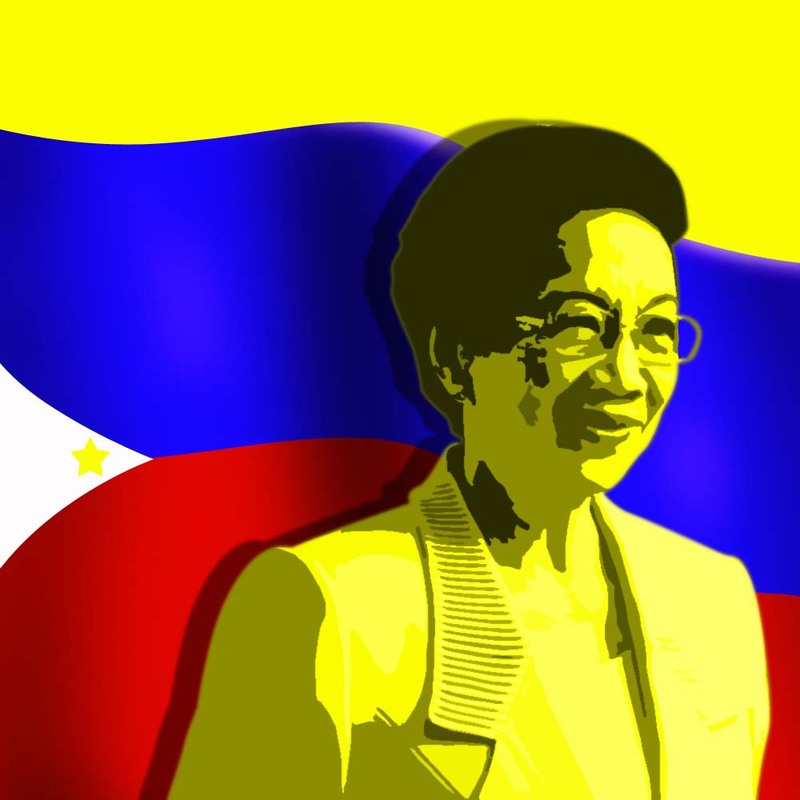 To Tita Cory, you gave hope to all Filipinos. I am honored to be a part of this day where we commemorated your would be 77th Birthday. Rest in peace with our Creator and know that Ninoy did not die in vain and that your memory will always be in our hearts forever.